The US Department of Defense has cleared Apple's iPhone and iPad for use on its military networks, along with the Samsung Galaxy S4 and BlackBerry 10 devices, the agency said in a statement Friday. 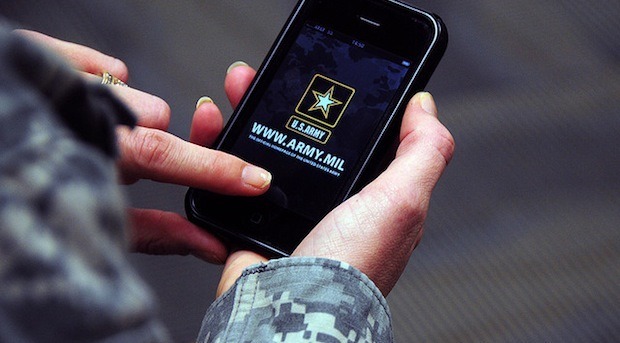 The entire DOD is much, much larger, of course, and mobile devices are increasing in importance for the military just as much as they are for we civilians. The report notes that out of more than 600,000 mobile devices used by the Defense Department, only about 41,000 of those are Apple products, with most of those not connected directly to the military's networks. But because these platforms have previously not been certified or cleared for use, such devices had not been connected to secure military networks, except for testing. The move was hardly shocking, but Samsung devices running the Knox security suite and BlackBerry 10 already trickling into the hands of Pentagon employees, the decision sets the stage for a three-way bout for military market supremacy. Officials said the STIG does not allow personally acquired mobile devices to connect to DOD networks. A number of U.S. agencies switched from BlackBerry to iPhones over the last year, while earlier reports indicate Samsung is attempting to attract more government and corporate customers with a new team of security experts and former RIM employees as well as a water and dust proof variant of its flagship S4 dubbed the Galaxy S4 Active. “With iPhone and iPad being tested or deployed in almost every Fortune 500 company, Apple continues to scale across enterprise with nearly 30,000 companies globally developing and distributing iOS apps for corporate use by their employees,” Apple spokeswoman Trudy Muller told AllThingsD. “The FIPS 140-2 certification and STIG approval demonstrate our ongoing commitment to deliver a secure platform to our enterprise and government customers around the world who deploy iOS devices on their networks.” Apple said. Also the U.S. Air Force is expecting to save more than $50 million over ten years following last year's decision to replace thousands of pages of flight manuals with iPads.